When a work of art manages to reach us, touch us and speak to us, it is not the touch or the voice of a stranger we experience, but the odd presence of something familiar. This familiarity is surprising, since it has nothing to do with our memories or recollections. A man who has never been to Aix-en-Provence and perhaps never even seen a mountain may still perceive Cézan's paintings of Mont Sainte-Victoire with a deep-felt sense of recognition. He may recognize himself in the tragedies of Shakespeare or find himself in the hopeless, literary trenches of Céline, without ever having been deeply in love or having had any experience of war. How should one account for this? In The Work of Art - Its Process of Becoming the author offers the following reply: It is in the origin of the work of art, in its conditions of existence and process of becoming that a fundamental kinship between man and art is revealed. 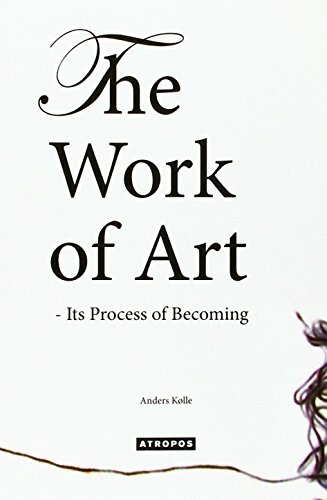 This book serves as an inquiry into these shared conditions and similar paths of maturation whereby the work of art and the self come into existence. Drawing on the thoughts and writings of Kierkegaard, Rilke, Van Gogh, and Paul Klee the book centers on the artistic as well as existential questions of inspiration and possibility, concretization and necessity.